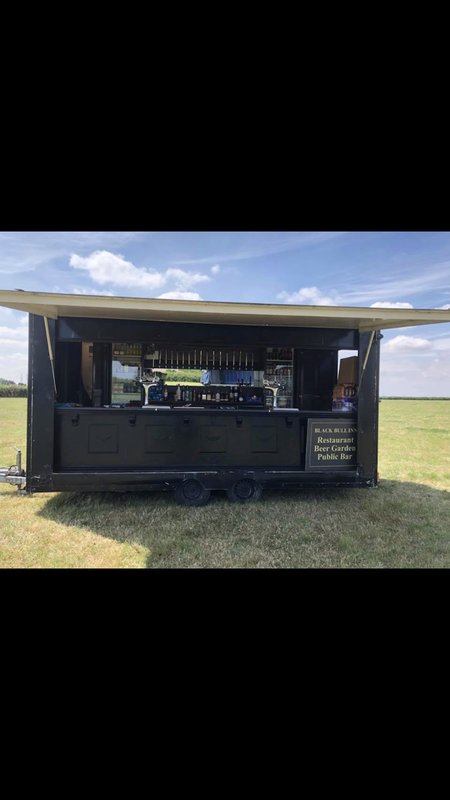 The Black Bull Inn has a fully equipped Trailer Bar for hire at any event. Carling lager, John Smith's bitter, Carling Black Fruit cider and Guinness are available on draught. A full range of spirits are provided and there is a large chilled capacity on-board allowing a wide range of bottled drinks to be available as well as the usual offering of soft drinks. The trailer bar can be viewed by arrangement at the Black Bull Inn. For village hall and other functions, the indoor bar equipment may be more suitable. Please contact us to discuss your requirements in greater detail.